Great dinosaur cameras pictures viewer for little dinosaur enthusiasts are perfect birthday party favors, because it�s not easy to take a picture of a dinosaur. They've been extinct for ages, so it's not like you can just go to the zoo and get some great shots. 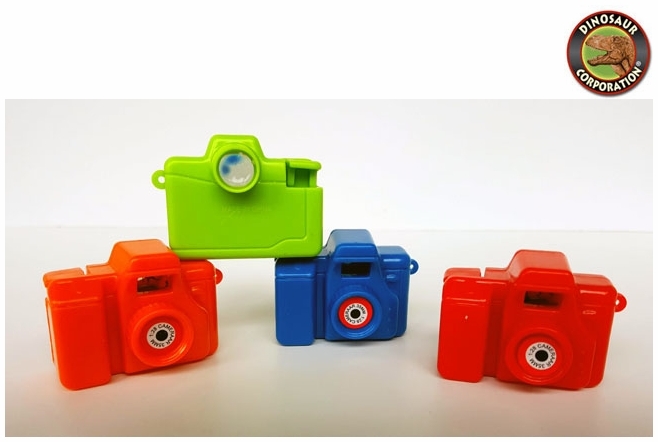 But with these mini dinosaur cameras, your kids can simply peer through and see a dino T-rex, Triceratops, Stegosaurus, Brachiosaurus, Pteranodon, Ankylosaurus, Velociraptor and Parasaurolophus just like that! These little dino cameras make great party favors at a dinosaur birthday party.